MoJo Promotions produce a brilliant selection of personalised bolts products, all intended to be custom printed with your logo. Bolts Products provide a outstanding way to present your information. The fun and practical features held by personalised bolts products is ensured to ensure your promotional wishes are met. 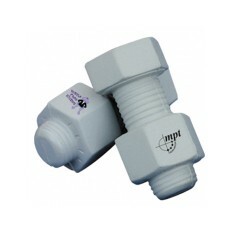 Our catalogue includes - Nut and Bolt Stress Items. All of our goods can be personalized to suit your targets, please contact us for more information. Vent your frustrations whilst promoting your brand with our Custom Branded Nut..